Give your pastries that certain something. High-quality pastries from the oven only get the finishing touch with a perfect finish. 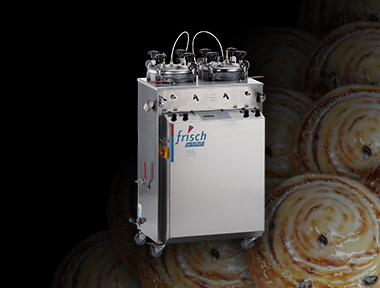 Take advantage of our many years of experience in this field and inspire your customers with genuine premium pastries. 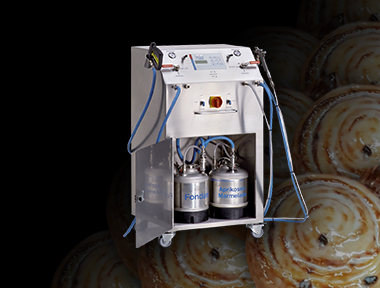 30 years partner of innovative bakeries. 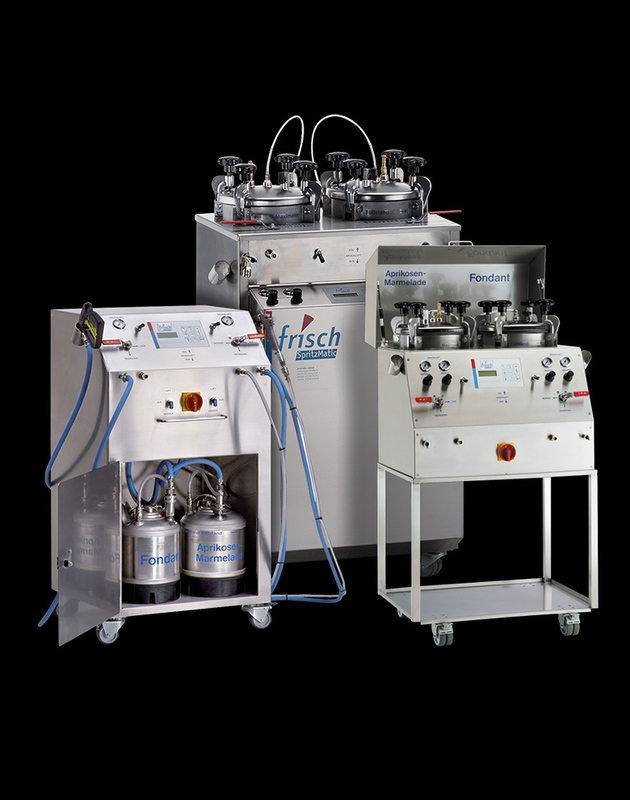 FRISCH processing machines convince by fast operational readiness, clear controlling and constant material flow with freely selectable raw materials. Quality is not a question of bakery size. We have the right equipment for every need. Take advantage of our many years of experience and invest in the bright future of your company. … always the right solutions. 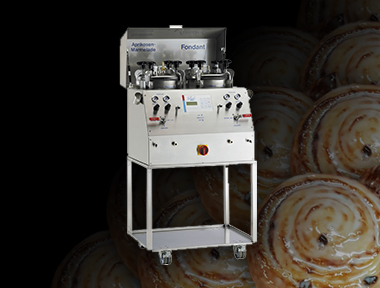 For each bakery size, we have the appropriate equipment in our range.Vertrauen Sie auf 30 Jahre Erfahrung und kontakten Sie uns. Pure power even for large quantities. Professional and powerful finishing technology for your business. The Uno-Jet is used wherever either only apricot or only fondant is to be processed. Of course, the Uno-Jet also has all the features of a professional finishing device. 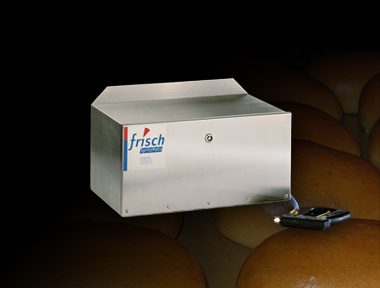 For cold materials such as egg, egg substitutes or oil the Spray Profi is a powerful device which can support large quantities directly from a big bulks. The Midi-Jet impresses with its innovative finishing technology. 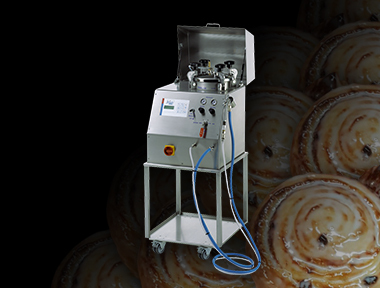 Future-oriented and creative bakeries rely on professional processing technology. 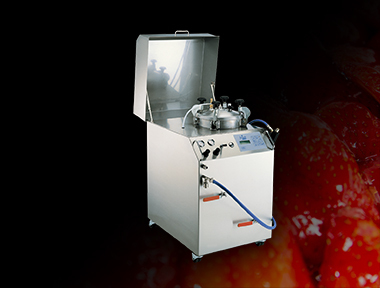 The Solo-Jet reliably processes apricot, cake glaze or fondant. The technology, which has proven itself over many years, also convinces with the Solo-Jet. 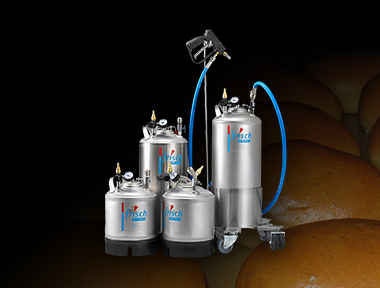 The Spray-Hit is a portable spraying system for egg and oil which can be offered in different sizes. In addition, an optional trolley is available. 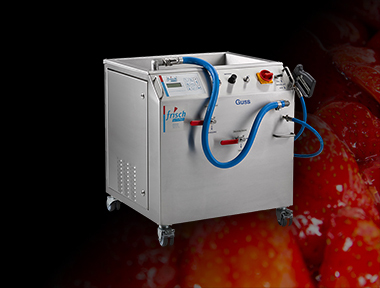 The Jetino Jet is your entry into the professional, machine-optimized finishing technology. Finest application of apricot jam and fondant provide real eye-catcher in the displays. The Fruit-Jet is the ``star`` in the fruit season. Comfortable boiling of the cake glaze and subsequent application with the lower fruit-softening temperature ensure bright colors in your showcase.